Unwind. Relax. de-stress. Be Well. Heal. Transcend! You must be at least 18 years old to attend retreats. Space in each retreat is limited to a maximum of 10 to 12 participants. Retreat registration will close sooner then registration deadline if all available spots are reserved. Register early to guarantee your spot! (Location is in Southeast WI; 50 minutes from Milwaukee, 60 minutes from Green Bay and about 2 hours from Madison and Chicago). Take a transformational journey through your Chakras, Emotions, Body, and Soul with Dr. Christina Wilke-Burbach and her tribe of experienced healing facilitators. 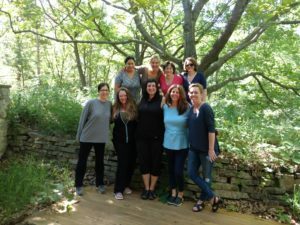 Our retreats are intensive women’s wellness weekends focused on cultivating self-awareness, personal growth, healing, and spiritual development! Relax, heal, and rejuvenate with our extraordinary weekend retreat! Previous attendees have said this weekend was life-changing! (See all of our testimonials at bottom of this page). 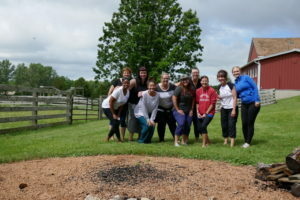 Our women’s wellness weekend retreats utilize the Chakras as a roadmap for healing, self-understanding, and becoming whole. The Chakras are the main energy centers in our subtle body. They are the openings for life energy to flow into and out of our aura. Their function is to vitalize the physical body and to bring about the development of our self-consciousness. Each chakra is associated with certain physical, mental, emotional, and spiritual interactions. The Chakras are a perfect blueprint for personal growth and are similar to Maslow’s Hierarchy of Needs, a guide for self-awareness and self-actualization. 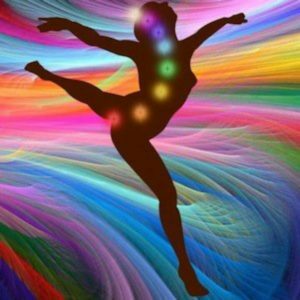 This experiential weekend of self-discovery will explore the Chakras through meditation, massage/bodywork, movement, yoga, tai chi, energy work, intuitive readings, art, sound, spiritual mentoring, and personal growth activities. No prior experience required. Retreats are for both beginners and the more experienced. Our retreats are small and intimate with lots of personal attention. There is a maximum of 10-12 participants per retreat. Cost: $775 per person. All inclusive! Registration, deposit, and payment info at bottom of this page. Payment plans and financing are available!! Save $25 if you pay by check or money order! 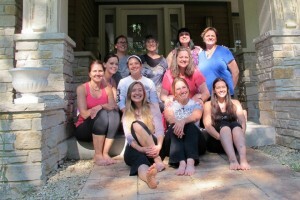 Summer Solstice Retreat 2016. Sunday morning. Auras shining brightly and a rainbow through their heart chakras. Original photo, no filter and no photoshop. 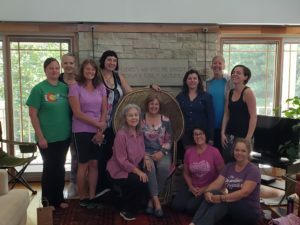 The 2019 Summer Solstice Women’s Wellness Weekend Retreat will be held at The Keller House Retreat. Keller House Retreat is in Southeast Wisconsin in Sheboygan County. 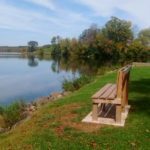 It is located in the small village of Hingham; a peaceful and inviting setting less than an hour from Milwaukee/Green Bay and less than 2 hours from Madison and Chicago. 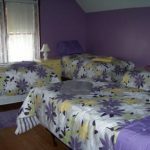 It has shared rooms (2-4 beds in a room) and shared bathrooms. 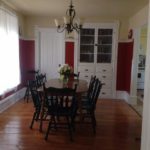 The Keller House is a historic home from 1891 that has been completely restored and remodeled. Located by Mill Pond. The retreat is located in Southeast Wisconsin. The retreat can be reached by Highway 43 or 57. The closest airport is General Mitchell International (Milwaukee) at 60 miles away. You could then rent a car or take a taxi, Uber, Lyft, or shuttle service to the retreat center: http://www.mitchellairport.com/ground-transportation/. 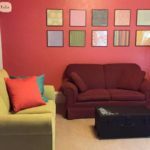 Traveling from Madison, Minneapolis, Chicago, or Indianapolis and don’t want to drive long distance or don’t want to drive in the snow (winter retreat)? The Amtrak also comes into Milwaukee, WI. The Milwaukee Airport Amtrak station is about 60 minutes from the retreat center. You could then take a taxi or shuttle service to retreat center: http://www.amtrak.com/home. A number of women have utilized this option and were very happy not to have to drive and deal with traffic and could start their relaxation before they even got to the retreat! A number of women have taken the Amtrak into Milwaukee or flown into Milwaukee General Mitchell Airport and then took the shuttle service to the retreat center to avoid driving in potential winter weather. We have been blessed with decent traveling weather for all of our past Winter Solstice Retreats and have never had to cancel a winter retreat because of the weather. In the case of winter weather, some women have traveled a day early (Thursday) to the area or arrived earlier on Friday and others have planned to leave a day later (Monday). Breakfast, lunch, and dinner on Saturday and breakfast on Sunday are included as part of the retreat. Food is served family style. There are gluten-free, vegetarian, and meat options. We do have vegan options but do not serve 100% vegan meals at this time. There is a full kitchen at the retreat house. If you have numerous food allergies or a special diet, you are more than welcome to bring along additional food. 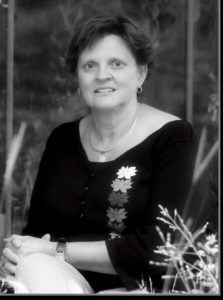 Sandy Wilke: Sandy is a seasoned retreat veteran and has attended and assisted at dozens of retreats. Sandy is interested in many areas of spirituality, intuition, natural health, and healing. Amanda Daniels RN, BSN: Amanda is a registered nurse in Wisconsin with advanced training in women’s issues, sexual assault, trauma, forensic nursing, is certified in ACLS, PALS, TNCC, and is the trauma coordinator for a level 3 trauma center. Thai Massage: Gina Roethle LMT is a licensed massage therapist, yoga teacher, herbalist, wellness consultant, and mindful movement instructor based out of Milwaukee, WI. She draws her expertise from training and certifications in complementary health practices such as Thai massage, Yoga, Dance, Ayurveda, Reiki, Meditation, nutritional supplementation and natural foods. Psychic Medium: Brenda LouAnn. Since an early age, Brenda has been blessed with the gifts of clairsentience and an inquisitive mind. These talents have lead her along numerous paths in life that few seldom trod. Let this gifted and insightful lady shine light onto your pathways through palmistry and the eyes of a psychic. Yoga Instructor: Erica Huntzinger. 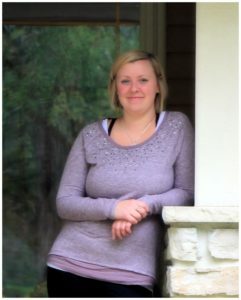 Erica Huntzinger, BFA, MAAT, is a visual artist and has her certification in Hatha Yoga from YogaLoft, Sheboygan. She is interested in the connection of creativity to the practice of yoga and meditation. Erica hopes to explore the dynamic elements within yoga and art bringing these forms together for herself and for others. Reflexologist/Massage Therapist/Aromatherapist/Reiki Practitioner: Drew and Helen Moss. Main Street Massage is Drew Moss and Helen Moss. At Main Street Massage we believe healing is always possible and with the right tools we can overcome any health challenge. With this in mind we offer a wide variety of healing services and products that are aimed towards helping you on your path to wellness. From Massage Therapy, Aromatherapy, Reflexology, Reiki and more let us help you find the right tool to help put your life back in to balance. For the last 5 years, it has been our mission to never stop learning and never stop improving our practice. We tailor the treatment to meet your needs. If you’re looking for pain or emotional or mental relief we have just the technique to for you. Helen and Drew will be offering HD DELUXE at the retreat: 4 therapies, 2 practitioners, 1 session. We have tested this treatment style on select customers and the results have been incredible. You will have the opportunity to experience Massage Therapy, Reflexology, Aromatherapy (topical and aromatically), and Reiki all at the same time! Yoga Instructor: Shawn Marie LaDuke CYT, RYT, ACTA, CYLC. Shawn is a beautiful and gentle soul. Shawn’s style of yoga is one of movement & freedom. A 200-hour, certified yoga instructor Shawn is registered with Yoga Alliance. Her training background styles are Iyengar, alignment based; Ashtanga, powerful flow; Viniyoga, therapeutic. Shawn also has an advanced training in Hands-on Adjustments, is a certified Yoga Life Coach™ and Reiki 2 practitioner. Henna/Body Art: Kimberly Weinfurter. 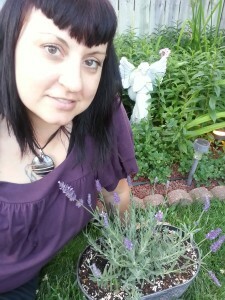 Kimberly is the owner of Heart Felt Aromatics LLC. She specializes in organic henna temporary body art. Henna is a plant and plants have very powerful holistic healing abilities. Kimberly will apply temporary body art of your choice as part of a Goddess Blessing. Yoga teacher: Jamie Healy took her first yoga class in Seattle in 2002 to help with feeling overwhelmed and with the intention of feeling better about her body. She has a deep respect for the ability of the human body to heal itsef and has seen firsthand what a consistent yoga practice can do to deepen the connection to self and others. Jamie teaches Aroma Flow Yoga, Gentle Flow Yoga, and Yoga Nidra at Perennial Yoga & Meditation in Fitchburg and is also a Level III Reiki Master Practitioner. 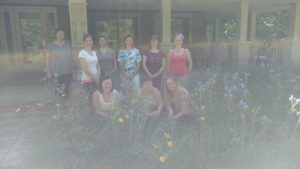 She leads DreamBoard workshops as well as Essential Oil Workshops both locally and nationally. Jamie is honored to witness the transformative power of yoga and aromatherapy and feels blessed to be able to engage in work that she finds so meaningful. Reflexologist: TinaMarie Olig LPN. Healing the mind, body, and spirit through the sole! TinaMarie is a Holistic licensed practical nurse, certified ear/hand/foot reflexologist, aromatherapist, Reiki Practitioner, empath, and intuitive. She is the owner of Relaxology LLC. Bodyworker: Lynne Hiatt RN, LMT. Lynne is a Holistically trained Massage therapist who specializes in Craniosacral Therapy. She trained through the Upledger Institute and has practiced at the Advanced level since 2001. She has completed her foundation level certification in Acupressure through Soul Lightening, Int. She is also a Holistic RN and Board Certified Psychiatric/Mental Health nurse. She has completed training with Dr. Christina Wilke-Burbach and is a Nationally Certified Aromatherapist and has certificates as a Holistic Herbal Practitioner and Mind/Body Practitioner. Lynne’s focus in her practice is to empower individuals to realize their intrinsic healing potential and to help to heal and integrate Body, Mind, and Spirit. What should I bring to wear? The retreats will be very laid back and relaxed. We will also have some movement aspects to the retreat. If the weather permits, we will also have some outdoor activities. Please dress comfortably…..yoga pants, sweatpants, PJs are encouraged! Please also bring layers…..long sleeves, sweatshirts, etc. I snore and am concerned about having a roommate I don’t know. Earplugs are provided to each participant. Participants have also brought noise-canceling ear phones and listened to meditation music on an ipod or their phone to help them fall asleep. Many of the women are so tired by nighttime from all the healing and activities that they fall asleep easier. Dr. Christina uses her intuition to best help her assign roommates. She tries to assign roommates who are roughly the same age and from the same geographical area. 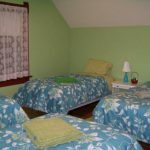 Many of the women, especially roommates, from these retreats go on to become good friends and stay in contact with each other through email, Facebook, and even face to face. 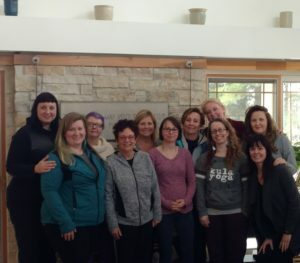 For instance, all the women who attended Christina’s first retreat still stay in contact with each other and recently all attended one of their weddings. 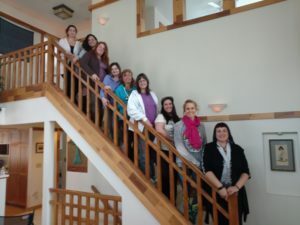 Christina has done reunion retreats several times with different retreat groups in which all the participants from a retreat come back again the next year with the exact same group of women. 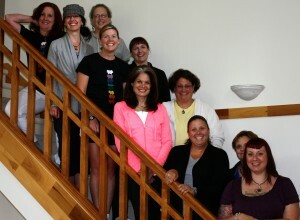 Another group of women from a retreat get together on their own several times a year and go out of town together. 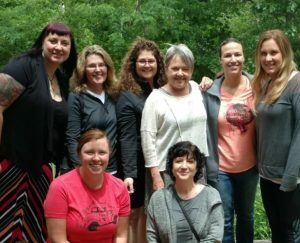 These retreats are a wonderful opportunity to make new friends and/or meet like-minded women and possibly form a new life-long friendship. Who comes to these retreats? 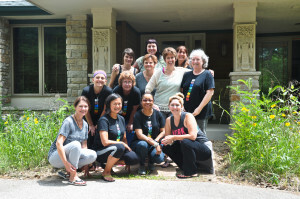 Women have attended our retreats ranging in age from 18 to 75. Women have come from Maryland, Minnesota, Delaware, North Dakota, South Dakota, Missouri, Iowa, Illinois, Indiana, and Wisconsin. Most of the women come by themselves and sometimes participants bring a friend or family member with them. Some of the reasons women decide to attend a retreat include: to get away and focus on themselves, to learn more about themselves, to learn more about the Chakras and other metaphysical/spiritual topics, personal growth, spiritual development, to experience healing, to meet other like-minded women, to shift their consciousness and expand awareness, and to learn and experience something new. “I don’t even know if I can put in to words just how fantastic Christina is! She has such a way of making you feel welcome and comfortable. I loved the way she had all the information put together for you and made it so easy to understand. She explained everything really well and answered any questions anyone had. Christina never judges anyone, and is willing to share things with everyone too. All of the activities she led were easy to follow and she didn’t rush through any of them, if anyone needed a break or if some one wanted to go off and kind of do their own thing, she was totally fine with that. The group activities and topics all meshed really well together. You can relate to one person if not everyone in one way or another and having the chance to speak to others who understand you and won’t judge you, just brings you closer together. I think it was great to be able to let some feelings out, we laughed, cried, and nodded in agreement about issues we all have or have had. Never did I feel pressured in to doing something. Christina’s personality her manor really makes you want to listen to her and try everything she is offering to you. 1pm to 6pm: Individual Acupuncture Sessions with Janet; Individual Thai Massage Sessions with Gina; Guided Chakra Art Activity with Dr. Christina; Henna Body Art; Meditation; Journaling; Hiking; Relaxation; and more! 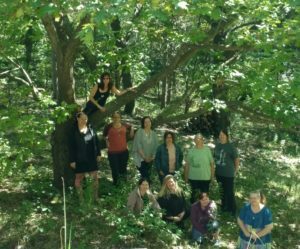 ***The Women’s Wellness Chakra Retreats in Wisconsin, design, materials, and programming are the intellectual property of Mind, Soul, and Self LLC/Christina Wilke-Burbach. All rights reserved. • Space in each retreat is limited with a maximum of 10 to 12 participants. Register early to guarantee your spot! Some retreats have booked and filled months in advance! • Please note that there is a minimum amount of 6 participants required to hold a retreat. If the minimum amount is not met at least 30 days prior to the retreat, the retreat may be canceled. If we cancel a retreat, all your money will be fully refunded. This is very rare and has only happened once in 7 years. • The all-inclusive retreat fee is $775. Contact Christina for mailing address if you wish to pay with check or money order-(Save $25). • A $375 deposit is required of everyone to reserve your space in any of the retreats. Contact Christina if you want to set up monthly payments. Please note, if you set up monthly payments, the retreat must be paid off in full by the actual retreat date, so please register early so you have ample time to pay off retreat. Financing is also available through PayPal Credit. To learn more about PayPal Credit, click on the banner below by the PayPal cart. If interested, please choose that option when using the Paypal cart. Our retreats are small and personal to create a sacred space and often book up quickly. • Please read carefully: We have a strict cancellation policy that we enforce as A LOT of preparation and planning goes into hosting a successful life-changing retreat experience. There are over 8 people involved in the planning and execution of the retreat including the retreat center, your facilitator/hostess, chef, and service providers. If you need to cancel for any reason up to 31 days before your retreat start date, your deposit/payment will be refunded minus a $150 administrative fee. You may not transfer your deposit or payment to another retreat. If you cancel your attendance for any reason 30 days or less prior to the retreat all payments are non-refundable, non-transferrable, and are forfeited. If you need to cancel due to an extreme emergency, partial refunds will be considered on a case by case basis. An extreme emergency is a death in the immediate family (spouse, parents, children). Getting nervous about attending the retreat at the last minute is NOT an emergency. Feeling sick is NOT an emergency. Not being able to get off of work is NOT an emergency. Not having anyone to watch your children or pets is NOT an emergency. Transportation concerns are NOT an emergency. If an emergency arises and you cannot attend the retreat, you may send someone else in your place. • Register for retreat by paying the $375 deposit and completing/submitting registration form below. By completing and submitting the information, you agree that you understand our registration, cancellation, and refund policies as stated above. No registrations will be confirmed without a deposit/payment. • There are multiple payment options. You can pay by check, money order, cash, or credit card over the phone by calling Christina at 608.393.7353. You can also pay deposit via Paypal below the registration form. You may also pay for retreat in full via Paypal. • With 24-48 hours of registering, Christina will send you an email confirming your registration. To register, please complete/submit the form below AND pay the retreat deposit. Your retreat registration cannot be confirmed unless payment is received. Just a note, please understand some bedrooms at the retreat house are on the 2nd floor. Let Christina know if you have mobility concerns. Please make sure all spaces on the retreat registration form with a red asterisk are filled out. The website will not accept your form if there are blank spaces. After you submit your form, you will be redirected to the top of the retreat webpage. Please scroll back down to the bottom of the page to where this retreat registration form is located to make sure the form was accepted. If it was accepted, there will be a statement letting you know. Within 24 to 48 hours of receiving your form and deposit, Dr. Christina will email you to confirm your registration.